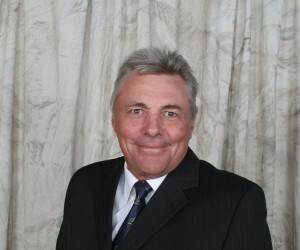 Louw Steytler, Chairperson of Grain SA, is not who one would imagine a stereotypical member of Grain SA would be. In fact, he is a man who represents an organisation that understands the need for co-operation between commercial farmers, rural developing farmers, the government and the private sector in order to secure a future for the South African nation. His father, Jan Steytler, was involved in politics and well known in the apartheid era as a voice against the regime. He was also a doctor. “My father gave his entire professional career and his life to the voice of reason, non-racism and justice for all. It has served us and held us in good stead because we have learnt from his example how to project ourselves and conduct ourselves in the non-racial society that we now have in South Africa”. Despite his progressive upbringing, and despite how South Africa was born into democracy nearly 20 years ago, Louw is deeply disappointed about the levels of corruption that afflict our society. The principles that Louw’s father instilled in him and his family, he has managed to translate into the work that he does. 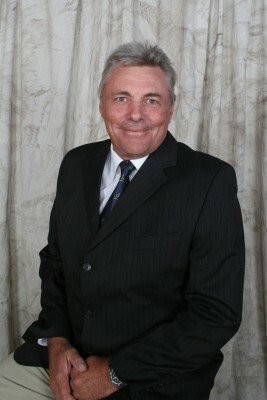 Ten years ago, Louw Steytler was appointed president at Free State Agriculture where he used democracy as a foundation. “We instilled constitutional economic argument as the premise of departure within the greater debate. “This is something that has stood us in good stead and, in actual fact, has been an example to other institutions within the ambit of organised agriculture,” he says. His position as chairperson of Grain SA was based on his values and the principles that his father instilled in him. Question is, what about the those who aren’t as embracing of the ‘New South Africa’? “Even those individuals understand that we need to negotiate, that we need a premise of departure other than race in itself. In my opinion, we have influenced the opinions of those people and black farmers have been attracted to the philosophy,“ he says. “There will always be a clash, but as long as adhere to the principles that are set up in the Constitution I think we can find common ground to go forward”. The biggest problem Grain SA is facing, is the lack of partnership with the South African government. What Grain SA needs and wants is to partner with the government to ensure food security for all people, through job creation and skills development. “What we need, is for people within the confines of government to take the same stances that we have taken and to engage with Grain SA so we can change the very philosophies and historical differences we have inherited,” says Steytler. Unfortunately, the amount of time it has taken to get to this point – while working towards a better future – is going to take more time than South Africa has. To import grains from other countries is far too costly, and seemingly a waste of resources when we are not utliising our own efficiently.